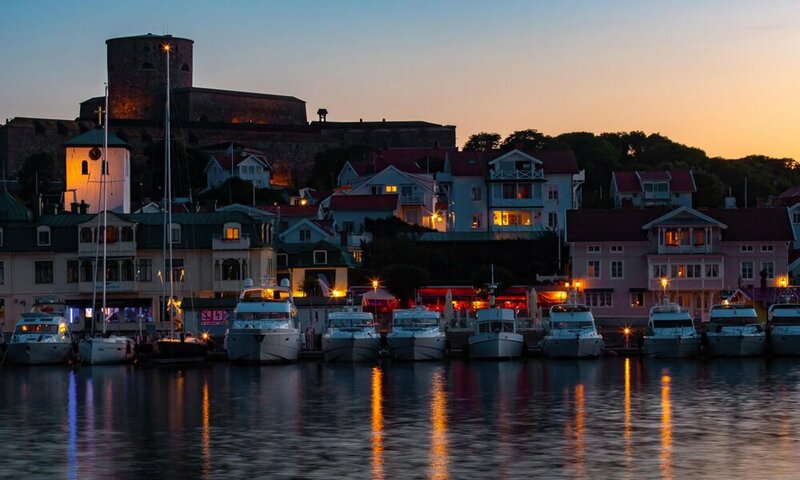 About an hour’s drive from Gothenburg, in southwest Sweden, lays the beautiful island of Marstrand. Founded in the Middle Ages (12th century), this idyllic destination doesn’t just offer immense beauty, there also an unmistakable aura of history to be enjoyed here. 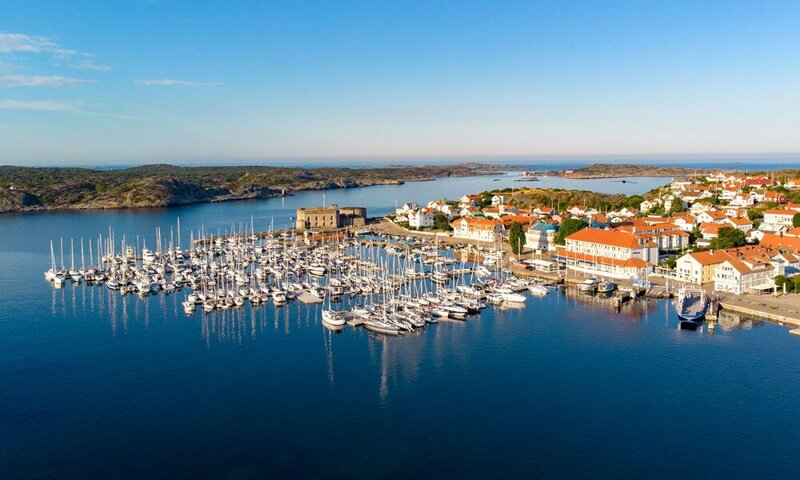 Marstrand is home to several international sailboat competitions and is a popular place to anchor for a few days among sailing enthusiasts from both Sweden and abroad. 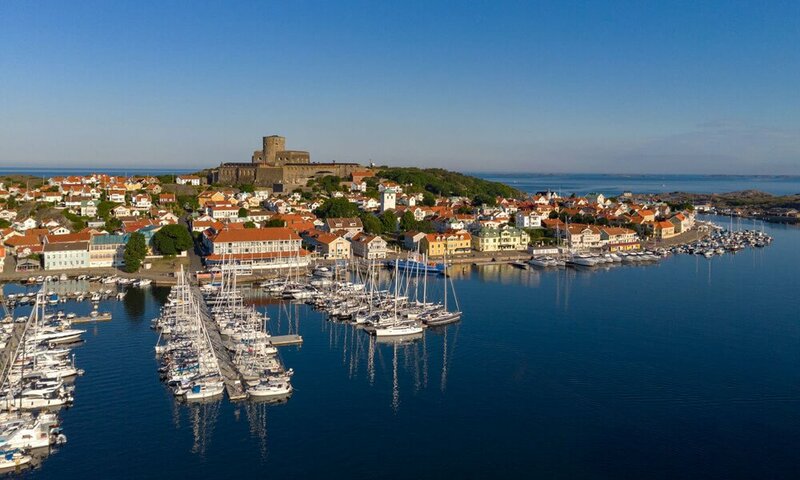 During the summer season, whether you walk along the harbor promenade lined with luxury yachts, small cafés and trendy shops and restaurants, or, stroll behind the main drag into the picturesque residential neighborhood with it’s cobblestone streets, colorful wooden houses and small, meticulously well-kept gardens, you’re guaranteed to be seduced by Marstrand’s small town charm. 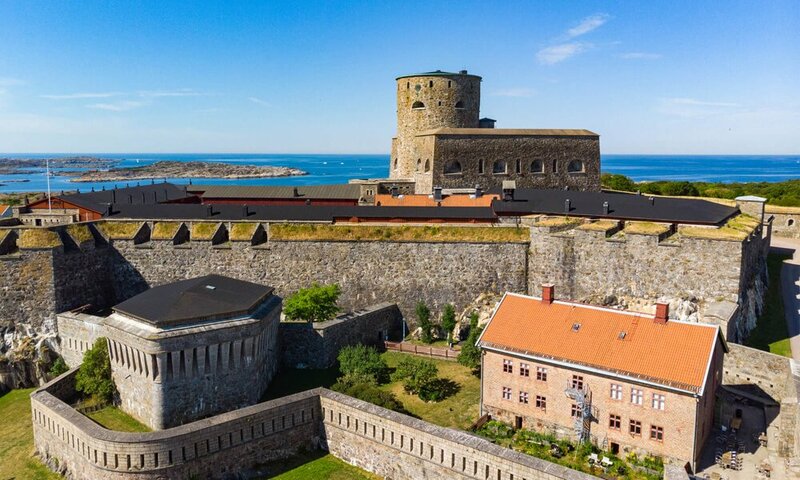 Take a short hike up to the 17th century fortress, the majestic Carlstens Fästning, and visit the museum and small coffee shop. There’s even a neat little hostel to stay at on the grounds. The 360 degree views from the hills surrounding the fort are nothing short of breathtaking. 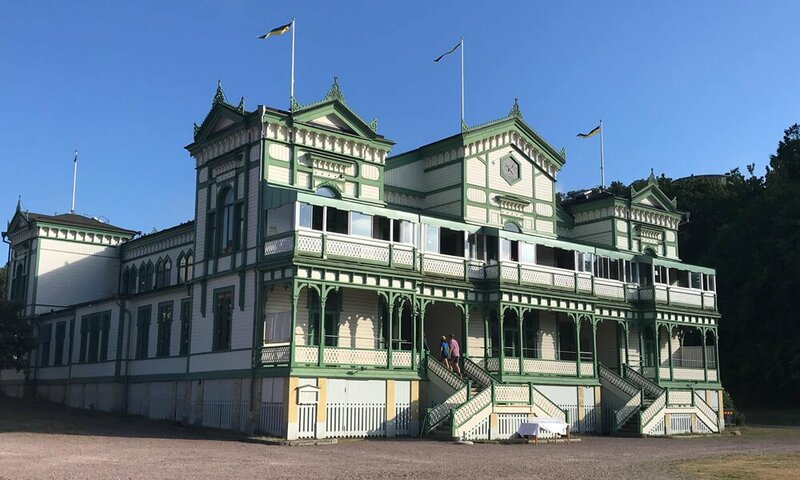 From here, you’ll get an idea of the vast archipelago that runs along Sweden’s west coast – which is literally dotted with thousands of islands in varying sizes and shapes. Trek down from the Carlstens Fästning through one of several paths that eventually lead to the ocean where there’s plenty of places for you to go for a swim or, just work on your tan. 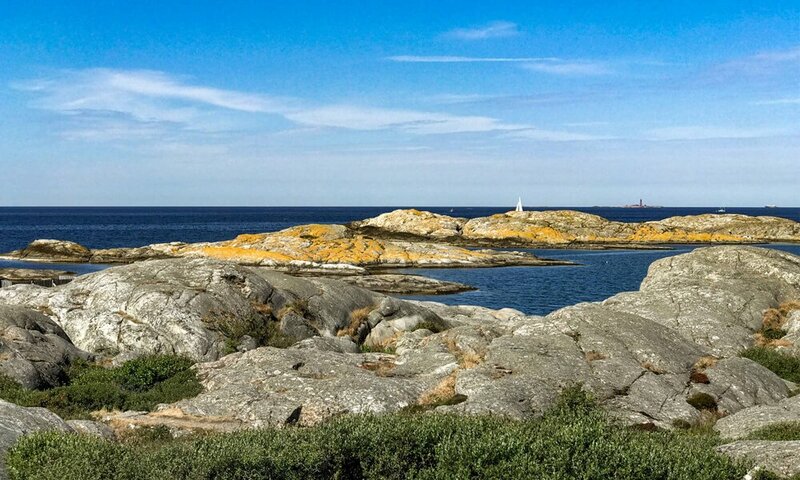 Across from Marstrand is Koön, (Cow Island) where the premier hotel, Marstrands Havshotell, is located. 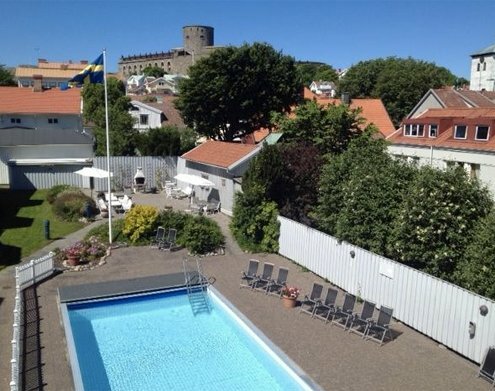 The technically not on Marstrand, the hotel has a really good restaurant, a large spa and just behind it, a great spot for a morning or evening dip in the ocean. On Koön there are also several restaurants, a kayak rent shop and a decently equipped convenience store. This is also where you’ll take the ferry to Marstand. 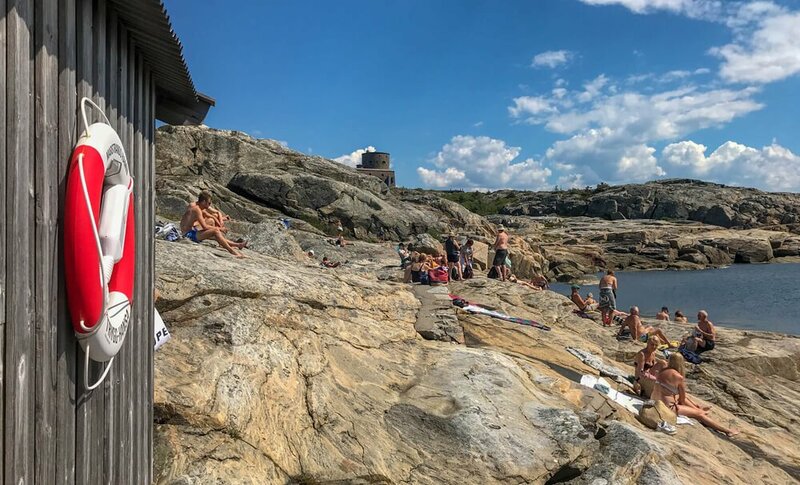 In general, Sweden’s at its best during the summer season. 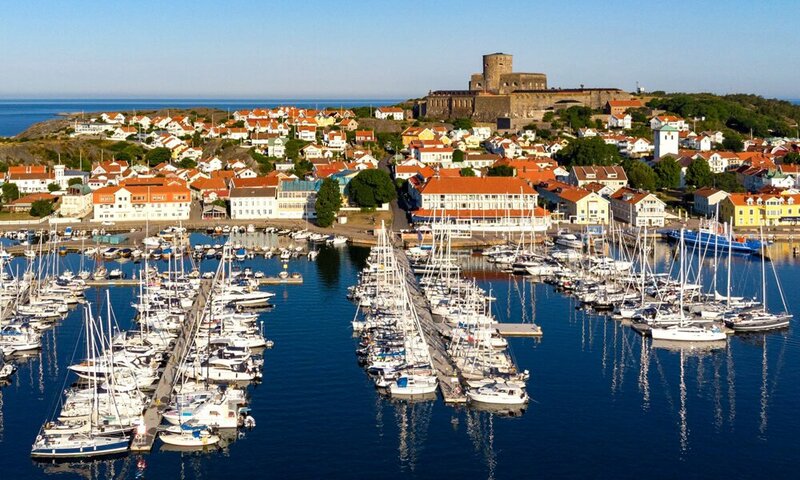 And Marstrand is definitely one of the country’s most beautiful destinations and well-worth a visit! 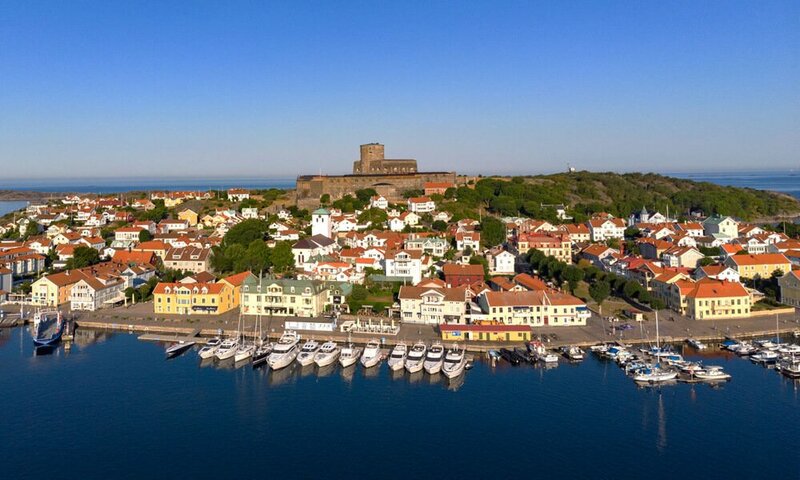 The most striking feature about Marstrand is the 17th-century fortress Carlsten, named after King Carl X Gustav of Sweden. Take the boat from Gothenburg to Marstrand, a 2 hour trip. 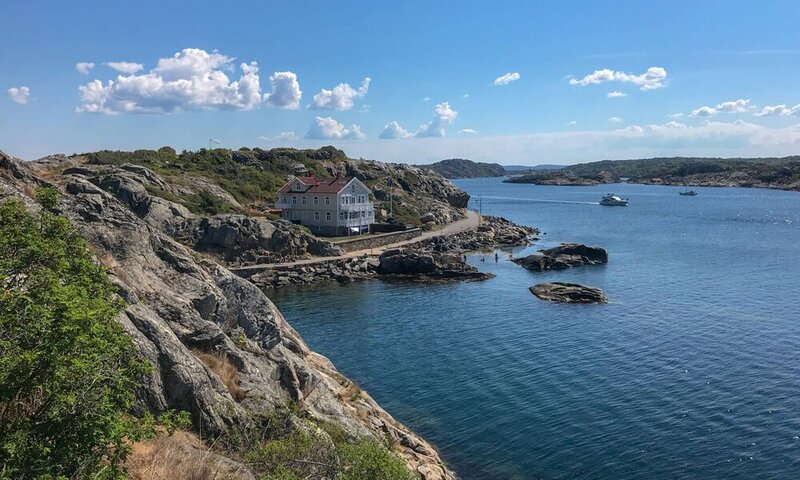 Marstrand to Käringön – This boat tour in the archipelago will surely give you a memory for life. PromeMare is the name of the different trails at Koön. photography and sculpture but also painting and digital art. 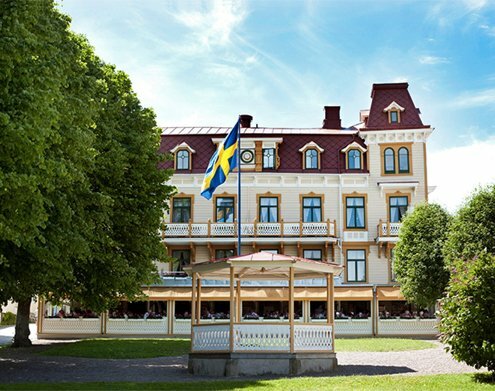 Named after the “first” wizard in Marstrand, LasseMaja, organize and carry out guided tours and lectures in his spirit. 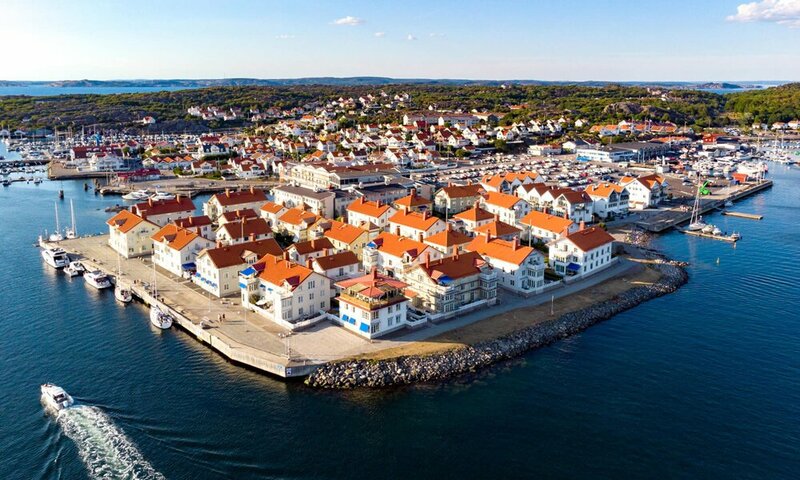 The tour talks about everything from Marstrand inception to where we are today through both wars, herring fishing and social life. The kitchen serves playful interpretations of classic dishes and the dinning room is lovely with a great view of the park & waterfront. The food is Indian/Asian fusion with a twist. Cozy and a great place for relaxing and watching people. Friendly and relaxed small hotell. 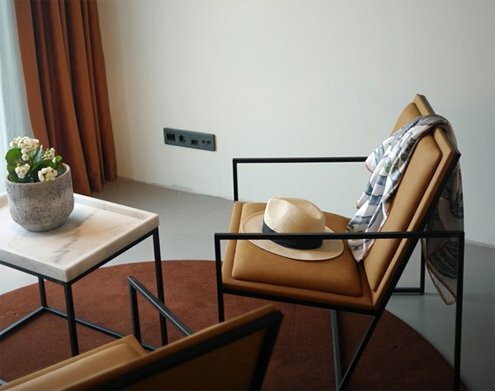 Location is perfect – everything is within walking distance and only one building back from the canal. 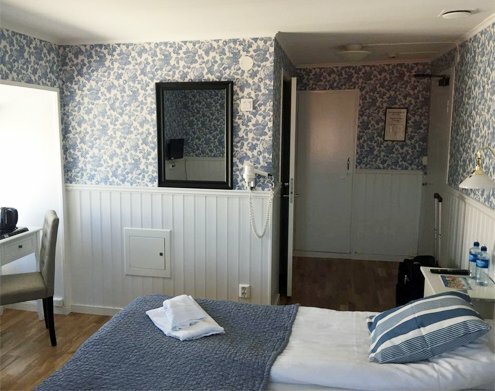 At Hotel Villa Maritime you live with sea views in the middle of the quay on Marstrand with everything to be desired within reach. 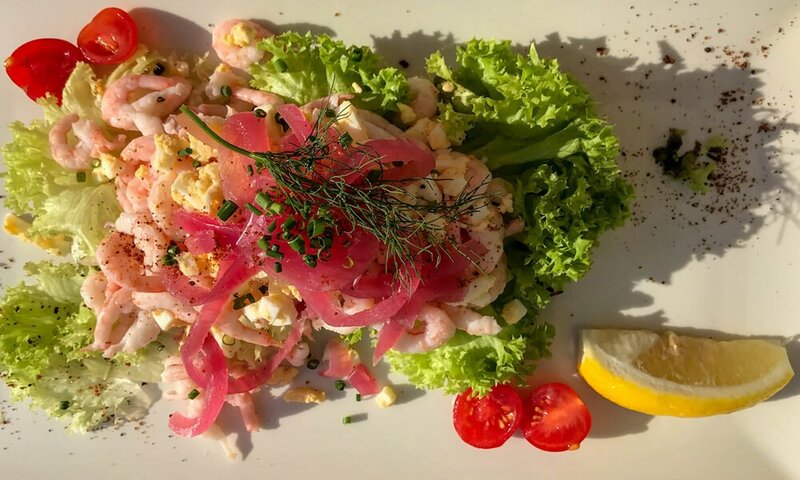 All year round you will find quality of life á la Swedish west coast with 98 rooms decorated in a Scandinavian style, mouth-watering food in Ottos Kök, and a salty SPA.